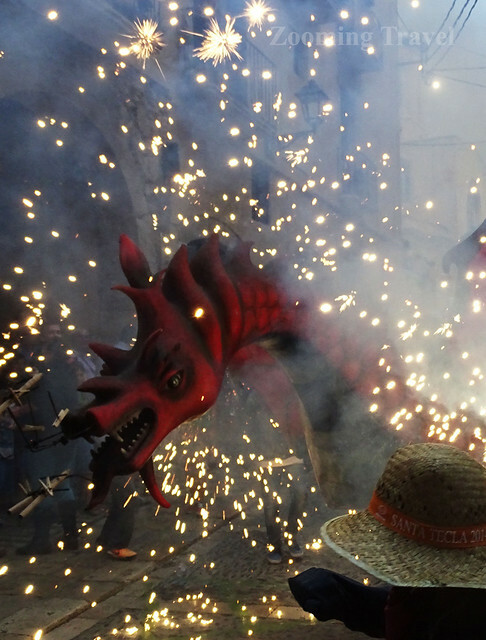 Tarragona streets burst into life with joyous music, dance and color during the ten days that Santa Tecla Festival lasts. Ancient traditions are blended with more recent activities. Human towers or ‘Castells’, “walking pillars”, mythological beasts, medieval treats and “spoken dances” take place over these days, with the human castles being the highlight. Move the mouse over the photo below to see the photo album.